Odessa is a city that absorbs. It’s defined by diverse influences, by triumph and tragedy, and, because of its location on the Black Sea, by fantastic seafood. Odessans proudly wave the independent Ukrainian flag nowadays, but the Soviets, Germans, and Ottoman Empire have all occupied the city in its less than 250-year history. 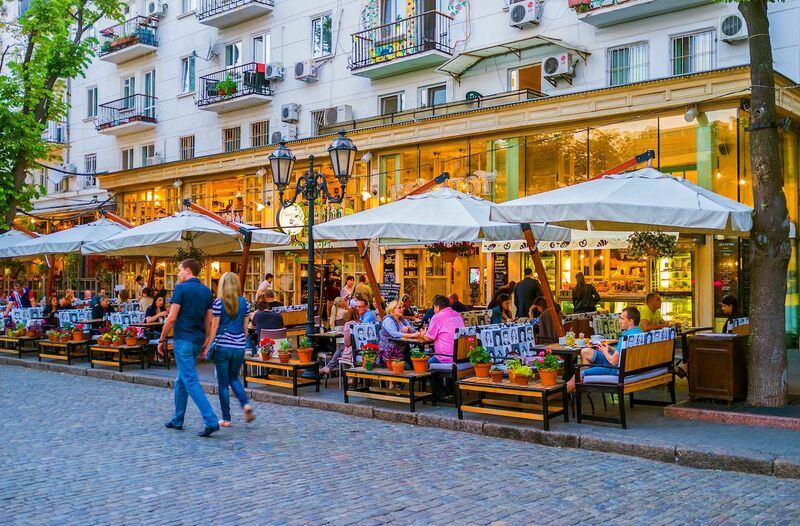 As such, Ukraine’s third largest city is an amalgamation of cultures and home to one of the most vibrant culinary scenes in Europe. Odessa is the type of place you want to see for yourself. Be sure to watch Everything is Illuminated on the plane over, though the film — and the larger-than-life Jonathan Safron Foer book it’s based on — hardly does Odessa justice. Most importantly, though, show up to Odessa hungry. Here’s why the city is the culinary capital of Ukraine. Excellent seafood comes in from the nearby Black Sea. The Centre District is a veritable haven for modern Ukrainian dining. Trendy restaurants and cafes are set mere blocks from the sea, where chefs prepare bouillabaisse, a seafood soup with French roots, from mussels and other seafood hauled in that same morning. Stop into Kumanets for a plate of Bichki Bullfish and you’ll never settle for frozen fried fish again. Large prawns and small shellfish known as rapani are common on menus across the city, as are mussels served in a cream sauce or as the anchor to more extravagant dishes, such as plov, a rice dish brought from Mongolia. You can’t go wrong with a seafood soup in Odessa. Soup can also provide a good excuse to venture beyond fish if something lighter is in order. If you see fresh pea soup on a menu, do yourself a favor and give it the ole’ college try. Each meal tells a bit about Odessa’s history. If you’re into walking down avenues packed with as much history as people, Odessa is the place for you. Odessa dates back to an ancient Greek settlement, then from 1529 to 1792 it was part of the Ottoman Empire. 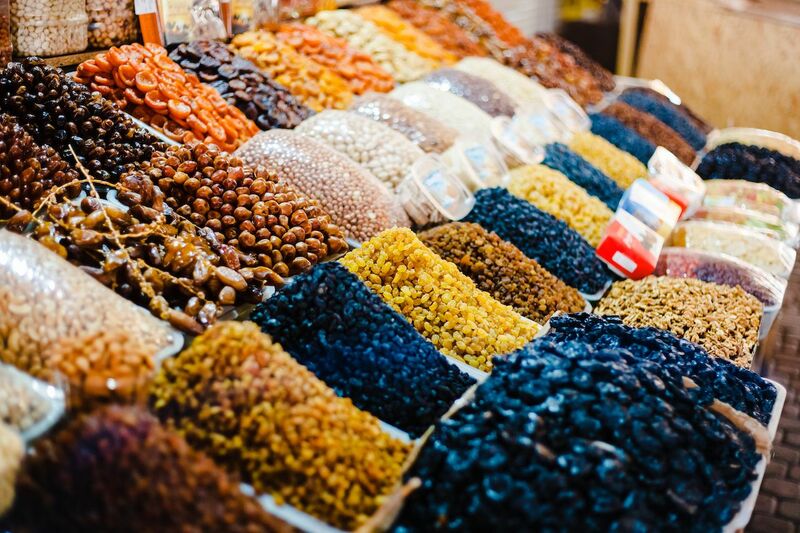 The city’s port has been a key stopping point for historical trade routes through the Black Sea, which led to a mix of culinary influences from across Eurasia. Its role in regional trade even withstood the tight Soviet controls prior to Ukraine’s independence after the collapse of the block in 1991. Georgian influence can be found in many restaurants across the city, as well as Mediterranean dishes inspired by Turkish and Greek food. Much of the city’s architecture was built during the 1800s, so as you work through the best plate of mussels you’ve ever eaten, you’re surrounded by buildings from the pre-USSR era, including the towering Vorontsov Lighthouse. Beyond the seafood and grilled meats, Ukrainian dishes are frequently built from a consistent lineup of grains, potatoes, mushrooms, and cabbage, all of which were reliable crops for the country’s peasant farmers during times of economic hardship and uncertainty. Borscht, a cabbage stew heavy on potato and onion and popular throughout the country, is widely considered to be a national dish. Get more of the country’s foods in with an order of deruny, or potato pancakes normally dipped in onion stew. Odessa has a thriving market scene. 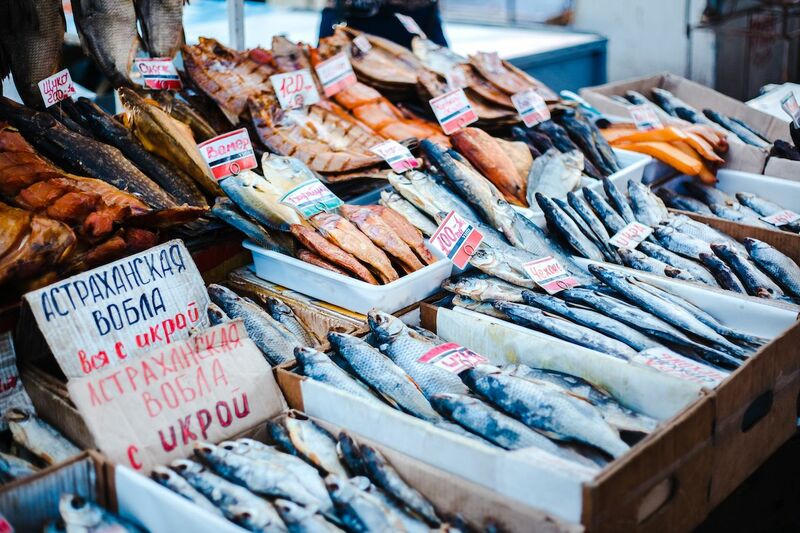 Odessa is home to popular food markets housing multiple vendors under one roof. There are two that you need to visit. The first is the world-famous Pryvoz Market on Pryvozna Street in the city center. Running since 1827, Pryvoz is the oldest such place in Odessa and the easiest way to see just about every major culture in the city represented in one place. At its core, this bazaar is a farmer’s market, but in a sort of hawker-center-meets-suburban-strip-mall type of way. You can buy everything from regional fruits to fresh-caught shellfish to clothing, and you can stock up on produce while eyeing a new set of speakers at the vendor across the way. The other hotspot is the Odessa City Food Market. This expansive food hall is the type of place that inspired the trendy food halls now populating hipster boulevards in many US cities. Thirteen food vendors call the City Food Market home and sling everything from fish to grilled meats to hummus and accoutrements. Most vendors are meat-heavy, but for veggie-friendly options, stop by Vegan Hooligano. The market opened in 2017 and quickly became the central hub for Odessa’s local foodie culture. As rumors of its Black Sea bounty swirled, tourists began making their way in, and the result is a vibrant and diverse scene of diners and drinkers. There are also six bars onsite — yes, six — fueling a scene that tends to get a bit raucous when a highly anticipated new dish is unleashed to the masses. Fine dining is just as important as the markets. With all of the food halls and casual vendors, it can be easy to overlook Odessa’s chic restaurant scene. Not to derail the importance of street food, but there are a handful of restaurants you need to make an appearance at while in town. The first is Bernadazzi, an establishment that, if judging by press and accolades alone, might be the best restaurant in town. Dining here is about the full experience — fine wine complemented by live musical overtures and phenomenal service, all bowing to the reason for the restaurant: the menu itself. Seabass and Black Sea crustaceans steal the show, but you can get down on poultry and lamb, as well, with drink options from wine to kombucha. It’s classy, so make a reservation in advance, and don’t wear that nice button-down to the beach before dinner. For a more casual affair, head to Kumanets. Here you’ll find European influence on Ukrainian staples, such as regional seabass and cabbage rolls, corn porridge, and roasted lamb. They also serve the best veal in town. You can walk your way through The Centre and find just about any cuisine that suits your fancy, but one thing you’re sure to notice is the diversity of influence — the running theme of eating in Odessa. 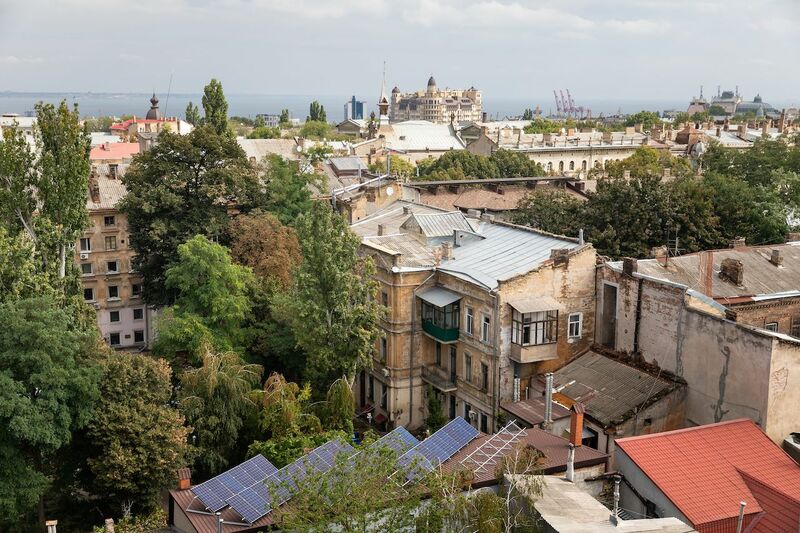 Located on the far eastern reaches of Europe, Odessa is certainly not as easy to access as major Eastern European destinations like Warsaw or Budapest. 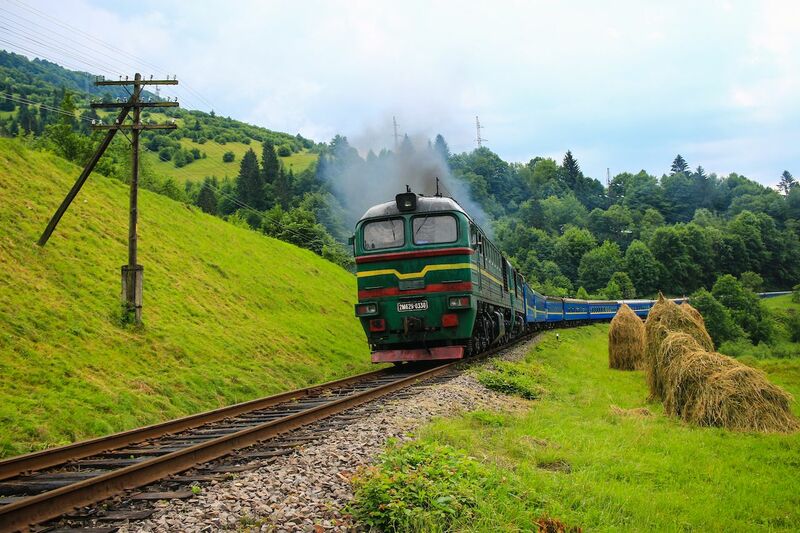 But, if you happen to already be coming to Ukraine, you can fall asleep in Kiev and wake up in Odessa thanks to the night train connecting the two cities. It’s a straight shot from the country’s capital up north down to the coast, and any part of it you catch during daylight hours is stunningly beautiful. If you prefer to fly in, the majority of the flights into Odessa International Airport pass through an international hub on the way, often Istanbul. You can book direct flights from Kiev though they aren’t as common as you might expect given the proximity of the two cities. Plan to do some research and route a few possible angles of approach, but don’t let the process discourage you — the culinary reward is more than worth the effort.